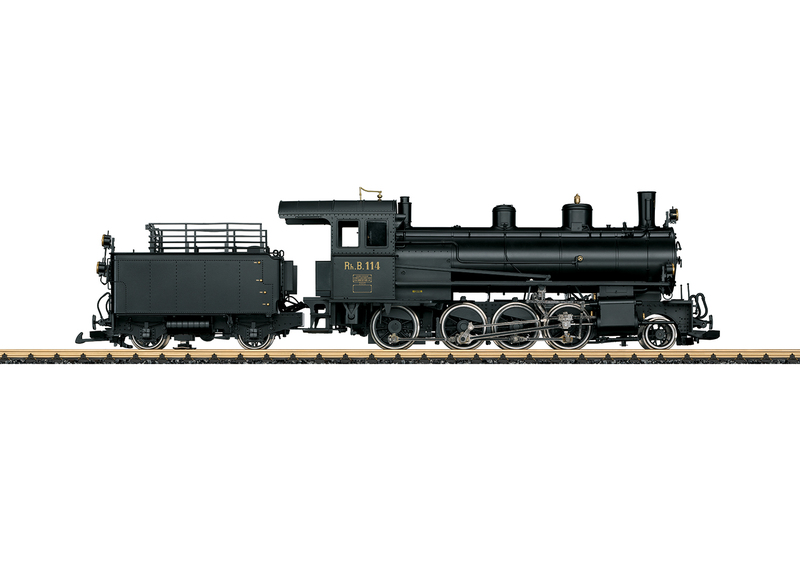 This is a model of the RhB class G 4/5 steam locomotive with a tender. The paint scheme and lettering are prototypical for the locomotive as delivered in Era I. 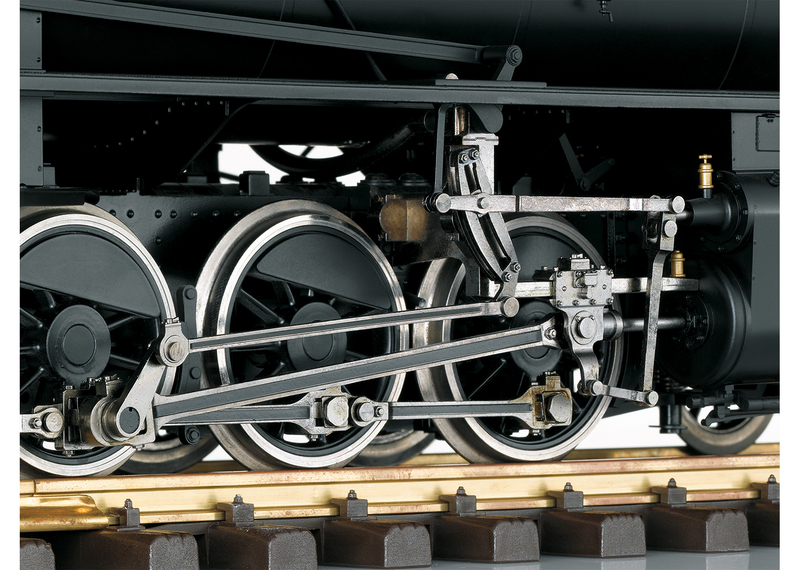 The locomotive is powered by a ball bearing mounted Bühler motor. The locomotive has traction tires. It is equipped with an mfx/DCC decoder with many light and sound functions such as digitally controlled Swiss headlight / marker light changeover, firebox lighting, cab lighting, running sounds, a whistle that can be activated by reed switches, and much more. The locomotive has a built-in smoke unit with steam exhaust synchronized with the wheel motion. The locomotive also has many separately applied details. Length over the buffers 62 cm / 24-3/8". The 33401, 33402, and 33403 cars are available to go with this locomotive.